Our Treasurer reports that OVER THE LAST TEN YEARS, DONATIONS TO MAINLY LOCAL CHARITIES HAVE TOTALLED OVER £13,300. 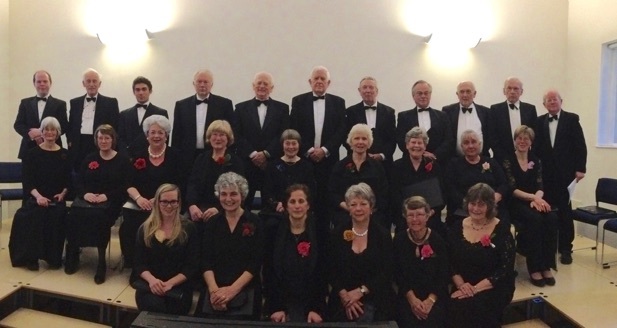 A wonderful result, and thanks to the Artavian Singers and to our many instrumentalist & singer friends for their generosity to enable this. The Birthday Concert at Woolhanger was a great success, and in fact we were sold out. Our young trumpeters and drummer stole the show, but the whole orchestra played beautifully, and the soloists were superb. A memorable occasion. 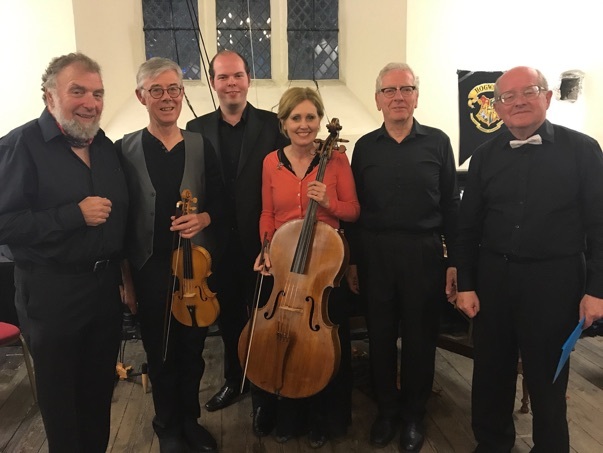 The Octagonal Music Room, Woolhanger Manor, Parracombe EX31 4RF at 7pm By kind permission of Graham & Beverley Mellstrom. A wonderful concert with fantastic playing and singing by all to a full house. Stand outs for me were Miranda Westcott as Julius Caesar singing ‘Va tacito’ with the incomparable Gavin Edwards on natural horn. They stood next to each other which was great theatre as well. In the second half, Jane Downer on oboe played her solo divinely, matched by Angela Henckel as Beauty in the final aria of Handel’s The Triumph of Time & Truth: Guardian Angels Oh protect me! All in all a triumphant success. The programme for 2019 has not been finalised yet since we have moved house after 42 years and are awaiting the completion of our building project estimated to be at the end of June. My harpsichord and fortepiano are being looked after by friends while we are in our temporary accommodation. Friday March 29th at Heanton Church near Braunton. 7.30pm. Entry by donation with raffle and nibbles available. It will be mainly contemplative music with poetry including poems by our very own Richard Westcott. Music will include Mozart’s charming Nocturnes for choir and two clarinets as well as music by Barber, Copland, Lauridsen, Mendelssohn & Bruckner. 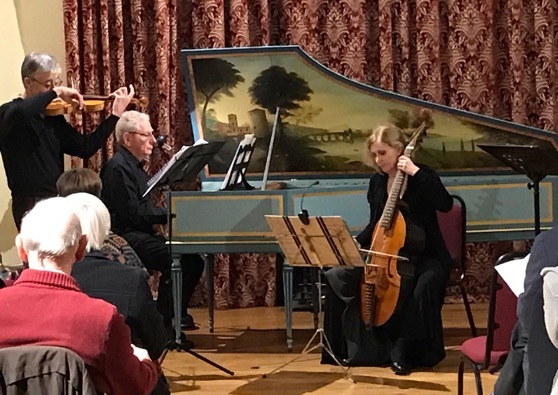 Our May concert at Elm House, Bishops Tawton EX32 0EJ will take place during the weekend of the Bank Holiday 4th - 6th with Baroque chamber music followed by supper. More detail in due course. Why not join or rejoin the Friends of Artavian Baroque and take advantage of the reduced ticket prices. 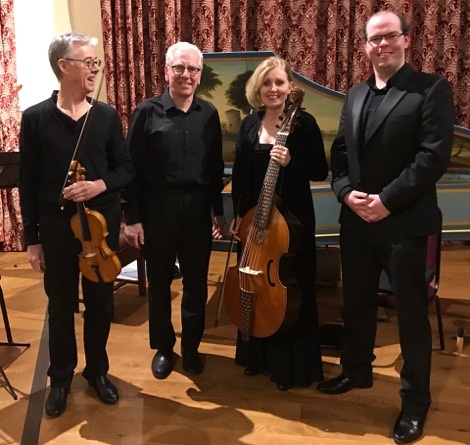 The cost is £15 per person and your contribution helps to support us in bringing Baroque and Classical music to North Devon. I look forward to seeing you again at our events, and thank you for your support. Please contact me by e-mail (artavianjohn@gmail.com), or by telephone (01271-267091) for tickets or more information.